The Bulgarian Association for People Management is a non-governmental organization established to develop the best professional practices in the field of human capital management and development and thus to raise the added value for organizations and to contribute to the enrichment of people’s potential and professional performance. The Association supports the development of the professionals in the human resource management area and aims at raising the status of the profession as a whole and establishing high professional standards, commensurate with the world’s practices and trends in the HR profession. The organization has more than 850 individual and corporate members, working in the HR field as directors of HR departments in Bulgarian and multinational companies, training and development managers, recruitment and selection experts, compensation and benefits specialist and so on. Among the members are also managers and specialist working in consultant agencies, professors, communication experts. Deployment of interim managers on the first and second management level who can directly assume leadership responsibility; Implementation of market-oriented corporate strategies and programs for sustainable growth and profit increase; Overall restructuring and realignment of manufacturing companies. Key sectors are independent or group-bound automotive and engineering enterprises with a turnover of an individual company between EUR 50 million and EUR 3 billion. KPMG International is a global network of professional firms providing Audit, Tax and Advisory services. We operate in 155 countries and have 155,000 people working in member firms around the world working in member firms around the world. The independent member firms of the KPMG network are affiliated with KPMG International Cooperative (“KPMG International”), a Swiss entity. Each KPMG firm is a legally distinct and separate entity and describes itself as such. KPMG in Bulgaria was established in 1992 and is currently one of the leading professional services firms providing Audit, Tax and Advisory services in the Bulgarian market. Presently, it has more than 330 dedicated professionals and three offices in Sofia, Varna and Burgas. Foundation “Bulgarian Cluster for Information and Communication Technologies” is a cluster initiative supporting emergence and development of clusters in the field of ICT in Bulgaria. The organization main objective is ICT SME growth and development through promotion of cooperation, building competitiveness and creation of new business opportunities. Serbian Automotive Cluster – AC Serbia network includes Serbian companies and institutions that are producing automotive parts and components, respectively providing services in the automotive sector. Serbian Automotive Cluster is supported by the Serbian Government, GIZ (German Organization for International Cooperation), EU-RSEDP2 (Regional Socio-Economic Development Programme 2), UNIDO (United Nations Industrial Development Organization) and USAID (United States Agency for International Development). The Automotivest Association is a, non-governmental and non-for-profit body, established in June 2007, with the mission of helping the members of the cluster-type network in the West Region to increase their market competitveness. 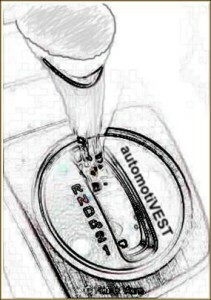 The Automotivest Association is the first automotive cluster in Romania. The Association was created when the members of the Automotivest initiative committee joined forces , namely: the West Regional Development Agency, Timis Chamber of Commerce, Arad Chamber of Commerce, Timisoara Municipality, Arad Municipality , Polytechnica University Timisoara, “Aurel Vlaicu” University Arad, Interpart Production, Inteliform and Neferprod. sikos-uc is a private business consulting company based in Sofia. We support foreign companies willing to expand their operations on the Bulgarian market with a wide range of services in the fields of Market entry and Business Development, Company Formation, Legal and Tax Advice and Executive Search. Bilateral Chamber of Commerce Bulgaria-Romania (BCCBR) is an independent, non-governmental organization that aims to support the Bulgarian and Romanian business communities and spur industry and commercial exchange between the both countries. BCCBR provides targeted support to companies wishing to establish themselves and interested to locate in or export to on both markets, offering access to sectoral market entry information and dedicated consultancy support.